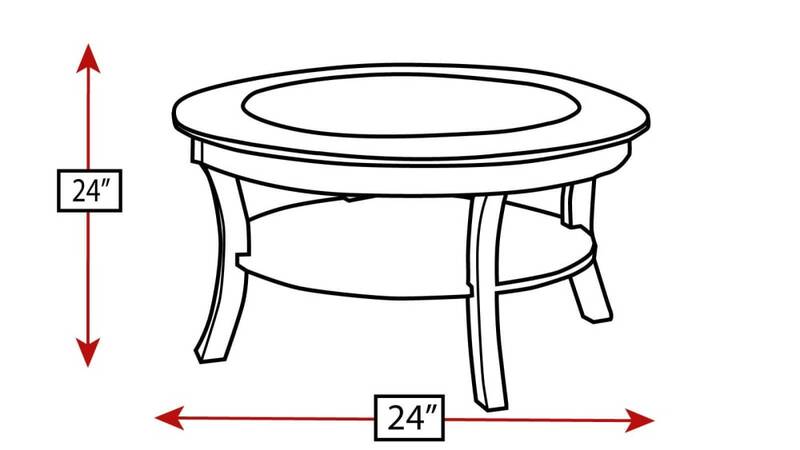 Crafted out of solid maple wood, this table was designed with a unique, casual style. A hand-applied Asbury finish brings out the beauty of the wood. A 35" glass insert and a wooden shelf augment the eye-catching, round design. 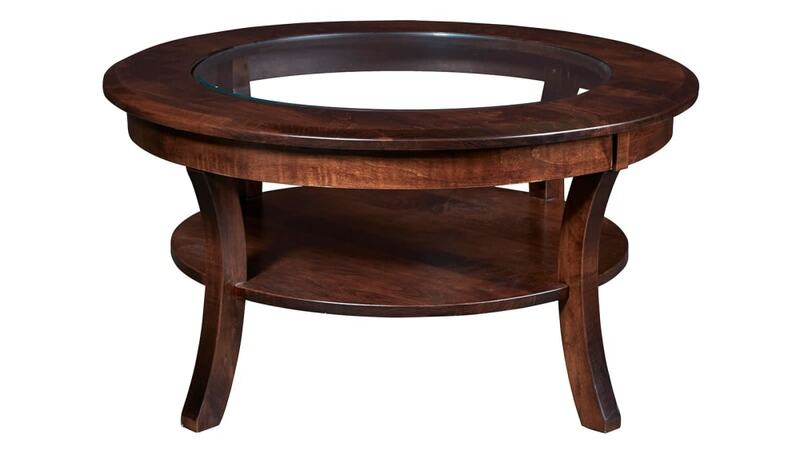 Complete this table set with the round, equally stunning end table!